Earn points daily and get FREE PC games from Allkeyshop Rewards! If you’re aiming to win one of the awesome games in our Daily Lottery, you’re surely finding ways to earn points daily. In this quick and easy guide, we will show you how you can earn points daily and get one step closer to getting your free game. Logging in to our website daily will get you 600 Points each time you log in. Daily Logins get refreshed every midnight, Paris time. Sharing our pages on your Facebook, Google+ and Twitter accounts will make you earn 300 Points for each action. That’s 300 Points for sharing on Facebook, 300 Points for sharing on Google+, and 300 Points for sharing on Twitter. That’s a total of 900 Points per page you share! You can get points for sharing for a maximum of 3 pages per day only (equivalent to 2700 Points daily). Posting comments in our website can get you 600 Points for every comment you post. You can earn points for a maximum of 3 comments per post per day only – that’s a total of 1800 Points for 1 day! 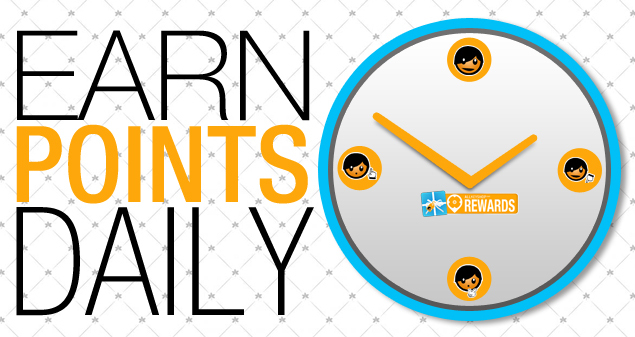 Referring visitors and new users to our website will also help you earn points daily. If a user clicks on your referral link and visits our website, you will get 20 Points for every visitor referral (maximum of 30 per day). That gives you a total of 600 Points for referring visitors! If a friend of yours clicks on your referral link and also decides to join our Rewards Program by connecting his Facebook/Google account, you will get 400 Points if he successfully registers. You will only get points for a maximum of 3 successful referrals per day only. That gives you a total of 1200 Points! I hope i can win fifa 17 in the lottery,great site anyway! Best site ever to earn games from lotteries would recommend to everyone! !